Adaptation:Crop harvest, to bring people picking difficulties, I plant after years of research and development, and finally processed a small, lightweight type of crop harvesters, by the small gasoline engine as a driving force, single row of two wheels, automatic walking, effort and efficiency is Crop harvesting machines. Pepper harvesting machine can automatically walk, blade sharp, with 65 iron steel quenching process, harvest crops do not mess, neatly back to the side, easy to post-artificial bundles. 1) The machine harvest clean, laying neatly, can be shop or stack; in the paddy field dry land rapid harvest rice, beans, wheat and other crops. 2) Harvest no LD bent over horses, men and women can use the labor force. Put on the corresponding tool, fitted with upper and lower pallet and safe protective cover, but also harvest shrubs, pastures, reeds and tea garden branches pruning and nursery flat dressing. 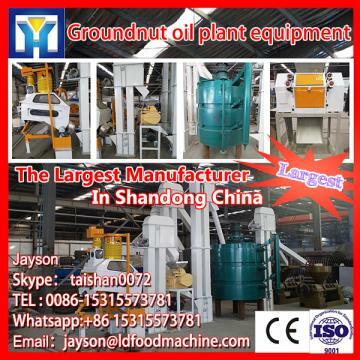 3) The machine is suitable for plains, hills, terraces, triangle and other large plots and mud fields; per hour to harvest 1.2-1.5 acres, harvest an acre of rice and other crops to 90 #, 93 # gasoline market price, Fuel consumption of about 4.00 yuan or so. 4) The machine is simple, easy maintenance. Engine are using Japanese technology, powerful and stable, the cylinder wall by chrome-plated, coupled with the enhanced crankshaft, the engine life extension, the performance to achieve good match. 5) The blade is made of high quality manganese steel, the transmission part of the use of advanced high-frequency quenching process, wear resistance, transmission part of the connection teeth accurate and precise, smooth movements, greatly reducing the user's maintenance costs. 6) the machine put on the corresponding tool or work head, fitted with safety shield, but also harvest shrubs, pastures, reeds and tea garden branches pruning and nursery dressing. 7) The machine put an end to the electric harvesters due to lack of power frequently stuck the phenomenon, so that users of the harvest more smoothly.